‘Balu’ had a humble beginning in the year 1990, in Belgaum, India. The initial set up was for manufacturing of crankshafts for single cylinder & two cylinder with a limited workforce. Within the last decade the company is supplying to OEM companies and the aftermarket presence had since expanded to over 80 countries. In 1990, Balu India was the first company in India to mass-produce Crankshafts suitable for Tractor, Trucks and Passenger car applications. Two decades later ‘Balu’ has gained excellent reputation in the world market. 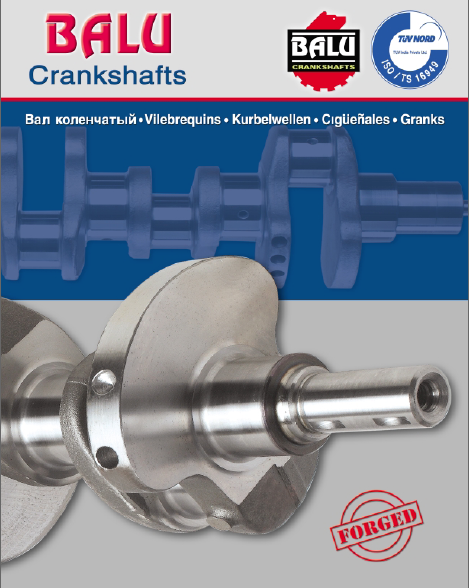 The modern era of ‘Balu’ upholds the reputation of durability by manufacturing Crankshafts only out of Forgings. The company successfully achieved the milestone of supplying to 80 countries worldwide. Manufactured & Supplied crankshaft of 2.5 metres for Railways & Military application.